But this is not their only goal, PCT also has as part of its purposes, to facilitate and accelerate the industries and other stakeholders of technical information related to inventions, and help developing countries access to the technology. International Patent PCT is an international treaty ratified by more than 148 contracting countries. 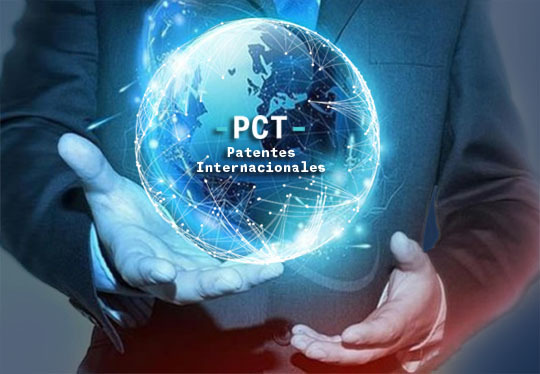 With the PCT System you can request protection of an invention with a patent by filing a single “international” application in a large number of countries, without the need of filing separately several national or regional patent applications. While Argentina is not a PCT Member, GATTI & Associates has proven experience to design strategies tailored to Argentine applicants so that they can also enjoy the benefits of this Treaty. The advantage of the PCT procedure is that it facilitates the processing of applications when such protection is sought in several countries, as a single application produces the same effects as if that application had been filed in each of the countries that form part of the Treaty. In recent years digital communications and various technology sectors were the largest number of applications filed. “The rapid growth of international patent applications underscores the growing importance of intellectual property, which moves from the periphery to the center of the global economic system,” said WIPO Director-General, Francis Gurry, in time to disseminate the annual review of the WIPO on its activities for applications of intellectual property titles and dispute settlement. The three main applicants have similar profiles in terms of the presentation of patent applications, and of digital communications sector accounts for the majority of applications. This sector represents two-thirds of PCT applications filed by Huawei, followed by information technology and telecommunications, each of which represents 11% of the total. Qualcomm has a profile similar to the Huawei, and digital communications represent two-fifths parts of the total applications introduced by this company, followed by the information technology (18%), audiovisual technology (11%) and telecommunications (10%). As for ZTE, digital communications accounted for about three-fifths of all applications, followed by the information technology (14%) and telecommunications (13%). The PCT procedure comprises several essential stages, such as presentation, international search, international publication, supplementary search, international preliminary examination and request for grant. It is advisable to perform a search prior to know the status of the patent of invention technical field because you can find patents that, unless the holder is in knowledge, anticipate his invention destroying the novelty. This search will be performed by our firm jointly with our partners in the countries that are required for the protection of the patent. Companies, research institutions and universities around the world use the PCT system to seek international patent protection. Also small and medium-sized enterprises, as well as independent inventors have in this procedure a very convenient option to protect their invention worldwide. is the system chosen by leading companies, institutions and people of the world at the time of applying for international patent protection. The industrial model is a three-dimensional object, while the industrial design is two-dimensional and must be applied to a three-dimensional object. The Industrial model is incorporated into an industrial product that gives it an ornamental character. For example, the design of a Chair.